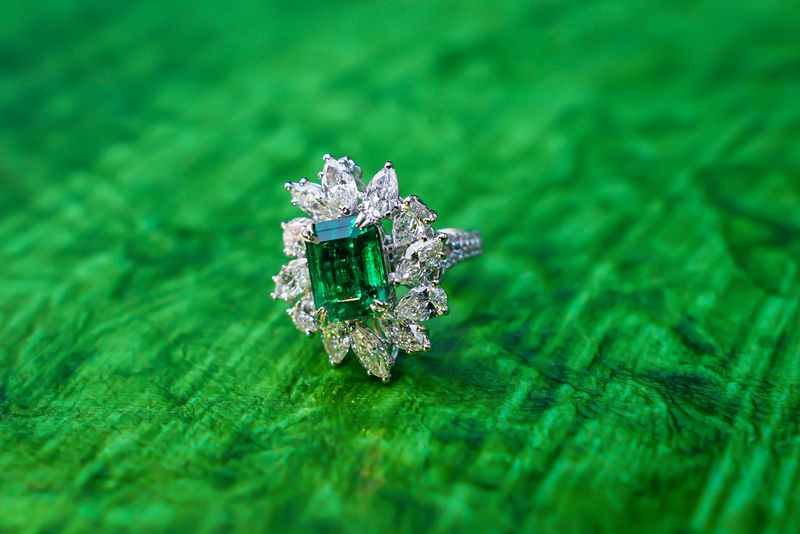 Make it an emerald. Our resident gemologist weighs in. A stunning 3.29ct vivid-green Muzo Emerald is the heart of this diamond necklace. 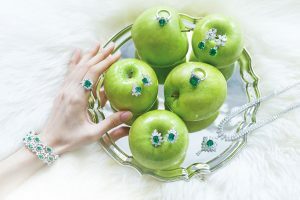 “Living coral” may have been bestowed the honour of being “Colour of 2019” by Pantone, but in the world of haute joaillerie, green is the colour to keep your eyes on. According to our resident gemologist, emeralds are top of his list of gemstones to put your money on (with the Padparadscha Sapphire and Mozambique Rubies among his Top 3 picks, FYI). Why emeralds? “I feel that emeralds are still undervalued this year. In comparison to other gemstones, they are less controlled and have good price points. If you have the will power and good investment sense to wait for the right piece, you could become the proud owner of something really special,” says Johnny. A floral-motif ring featuring a vivid-green 5.41ct Muzo Emerald diamond ring. 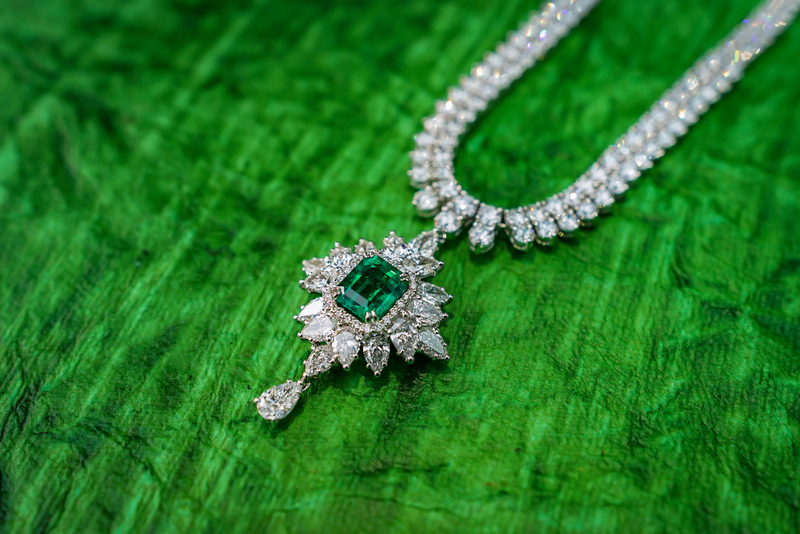 Like all gemstones, colour is of utmost importance — the colour of an emerald stone should have a vivid green saturation. Finally, it is important to also consider the origin of the stone. 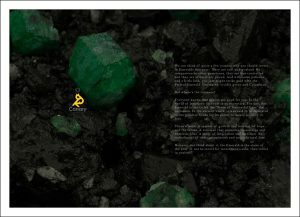 Colombian Emeralds are still deemed to be the most collectible of emeralds. This is especially true if they come from the Muzo mine where all the best emeralds come from. So, in a nutshell, if you see a vivid green emerald that has not been treated/oiled, and it’s from Colombia — an extremely rare combination — you’ve struck gold. 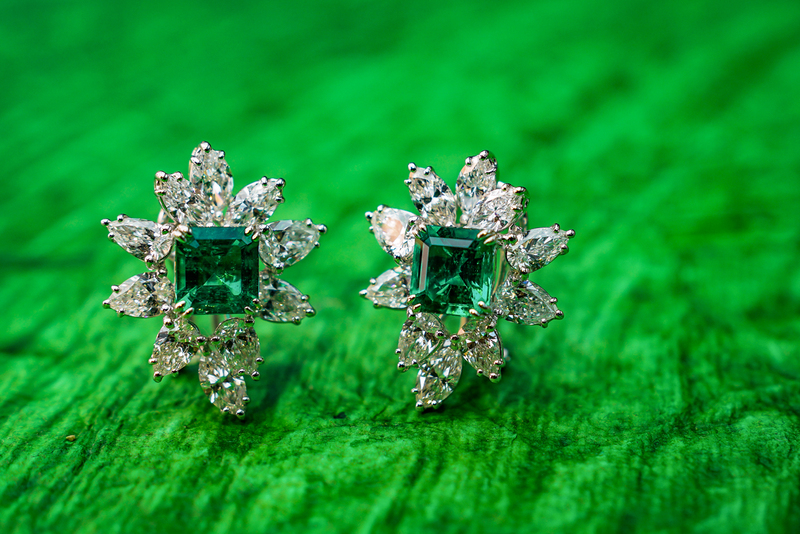 Matching earrings also made with vivid-green Muzo Emeralds at 2.17ct and 1.95ct. By and large, these are the key tips you need to be equipped with before you whip out your cheque book. Now that you have in your possession the stone that speaks to your heart, the next task involves mindfully caring for your emerald, especially if you intend to wear the piece. It’s a no-brainer, but be extra careful to avoid a collision with hard objects, as the green gems are, compared to others, lower on the Mohs scale (a scale used to measure the relative hardness of a mineral by its resistance to scratching) and therefore, softer. Cleaning is as fuss-free as you can imagine: Simply rinse it in lukewarm water without any detergent or cleaning agent, wipe dry and store it. So, what do you say? New year, greener pastures?